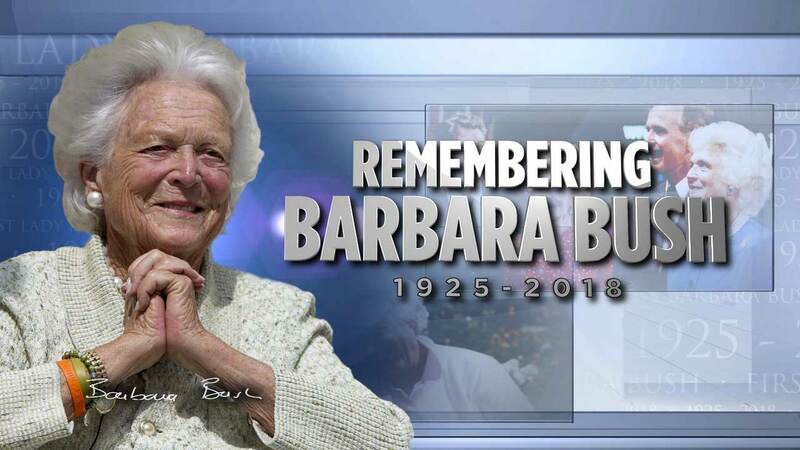 HOUSTON -- The entire Houston community was invited to celebrate the life and legacy of former first lady Barbara Bush. The celebration included remarks by founding pastor of Wheeler Avenue Baptist Church Rev. William Lawson, Samuel Karff, Rabbi Emeritus, Congregation Beth Israel, and Joseph Fiorenza, Archbishop of the Archdiocese of Galveston-Houston. There were performances by the Houston Children's Chorus, interfaith prayers, reading of a poem and other tributes. The celebration started at 4 p.m. PST at Hermann Square at Houston's City Hall. Those attending were encouraged to wear pearls or the color blue as a tribute.